The Aquarius service offers support to those who use substances and also those who are affected by familial substance misuse. We know that some children and young people suffer neglect because of familial substance misuse. 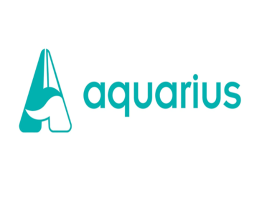 Aquarius offers therapeutic support to children and young people aged from 11 to 19 years old who are affected by current familial substance misuse. When a child is under the age of 11 any intervention will only be delivered in partnership with a family support worker/health visitor. We will support anyone up to the age of 19 (or 25 in cases where it is appropriate), living in Oxfordshire with a substance misuse problem or at risk of developing one. Many of the young people we work with also have other vulnerabilities; school exclusions, truancy, teenage pregnancy, child sexual and drug exploitation, in care or leaving care, homelessness, mental, emotional and physical health issues, offending, lack of education attainment and unemployment. Although we work with young people/children as individuals, we adopt the ‘Think Family’ philosophy and make sure that the support provided by Aquarius is co-ordinated and has a focus on problems affecting the whole family. Aquarius have workers based in every Children & Family Centre in Oxfordshire.